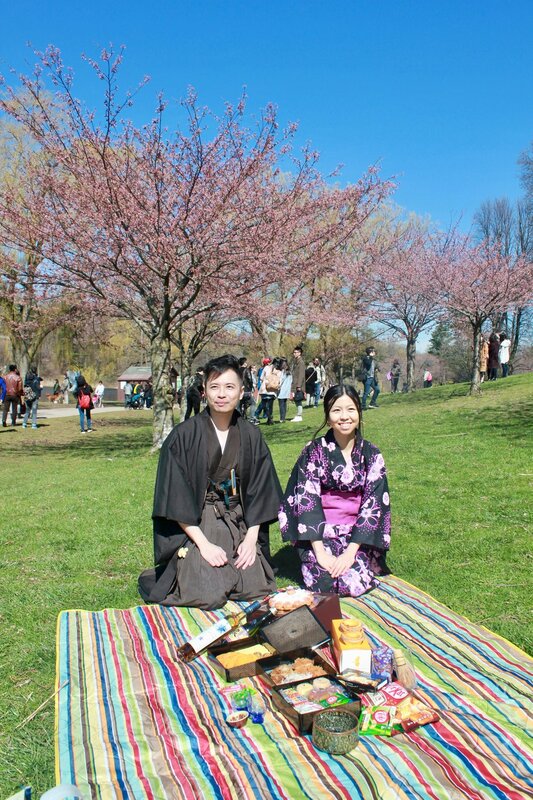 As a special nostalgic post, here is our Hanami Picnic from last year. Cooking extraordinaire, Ken took the lead on making this feast. You might remember him from that breath taking North American Thanksgiving Dinner he made a few years ago. 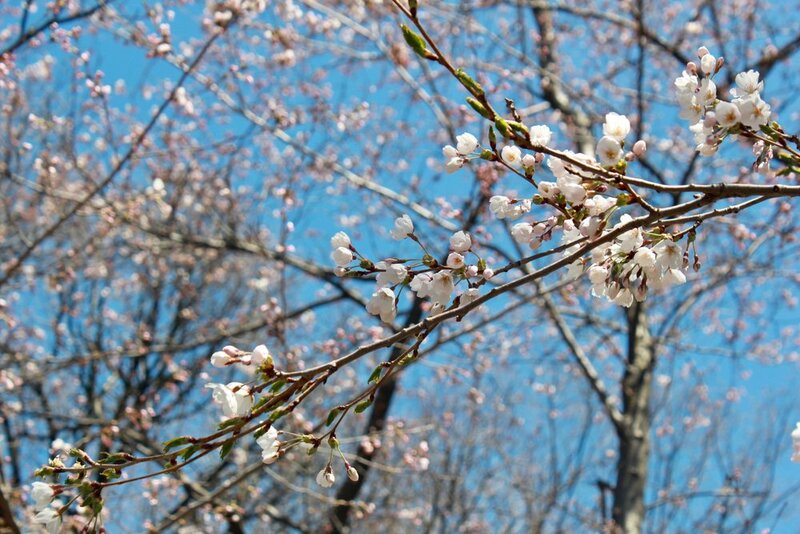 Some sakura framing our picnic. 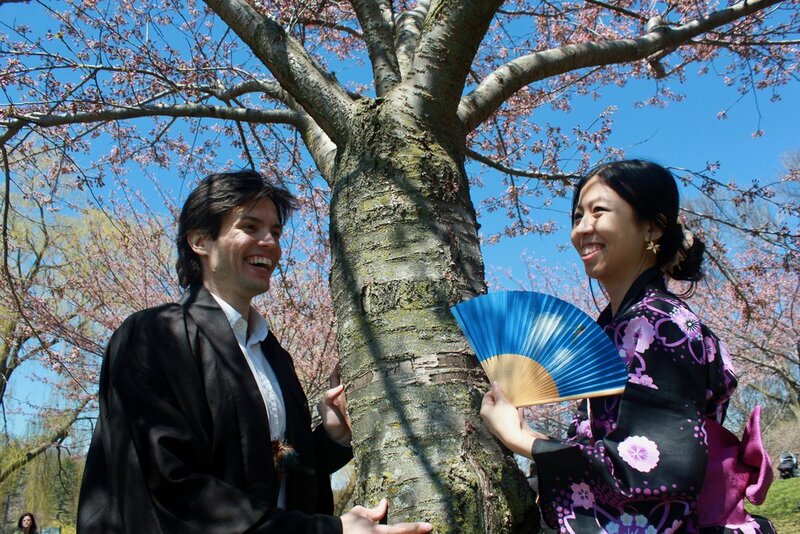 The details of Ken and Audrey's yukatas. 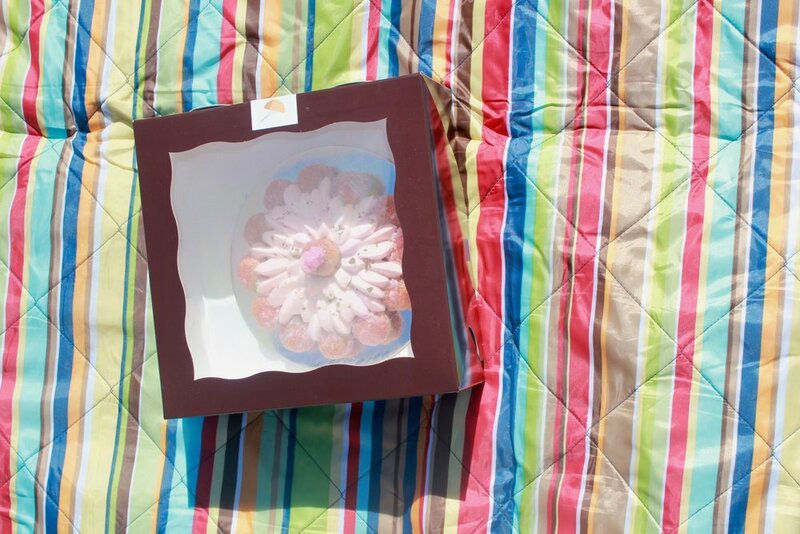 Our picnic started off with a sakura flavoured cake. 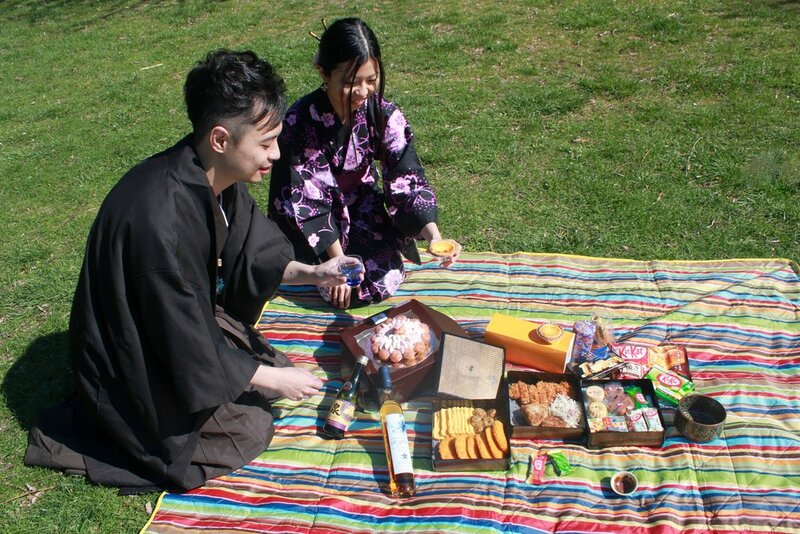 The feast also included Tamago (omelet), Korokke (potato croquettes), Katsu (deep fried pork cutlets), smoked onigiri (rice balls), assortment of Japanese sweets and chocolates, cheese tarts, as well as matcha and sake to wash everything down. Ken and Audrey setting up our feast. All set up and ready for consumption. 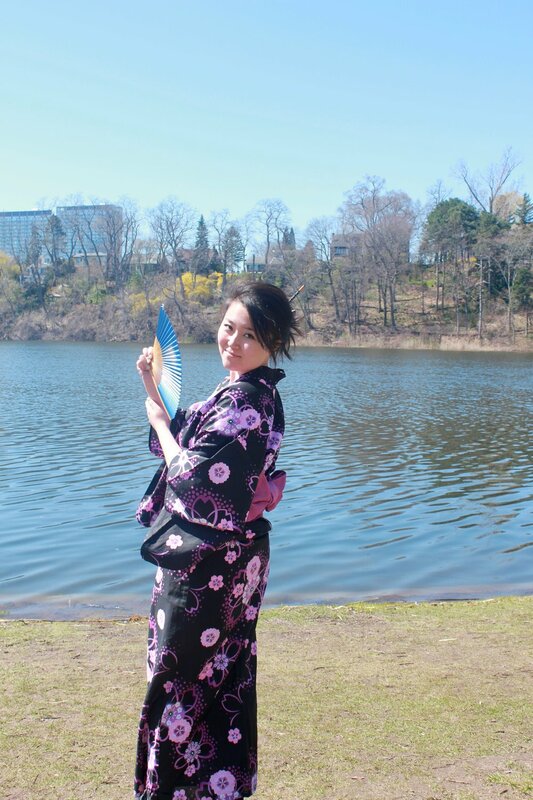 I got to wear Audrey's yukata for some photo ops. Did I mention we are enthusiastic and may even be a little over the top? Audrey and myself, recreating some scenes from mellow dramatic movies. Boyan and Audrey's turn to recreate movie magic. 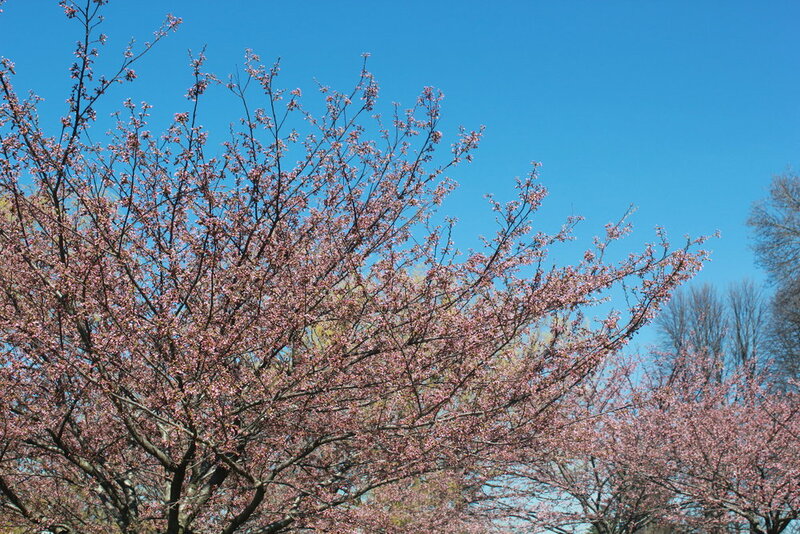 The blossoms we came to see. 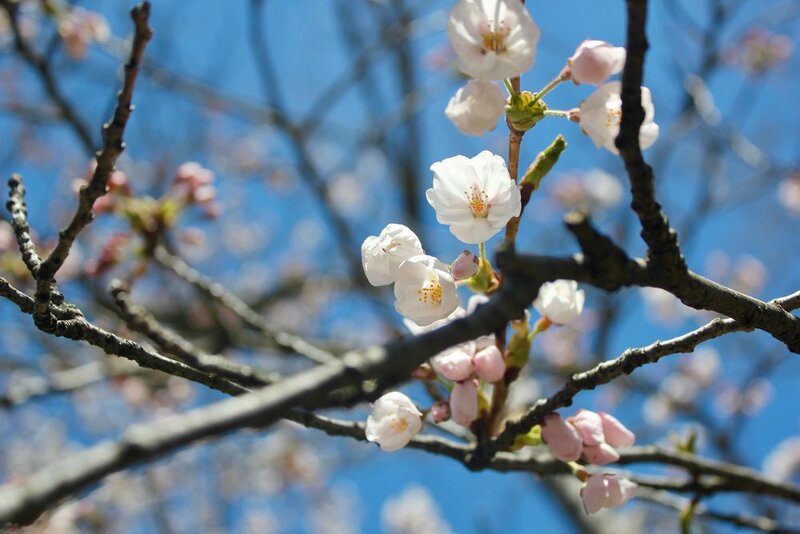 It's beautiful to celebrate the cherry blossoms, not just because of their scent or sight but their celebration is also an acknowledgement of the fleeting nature of life. 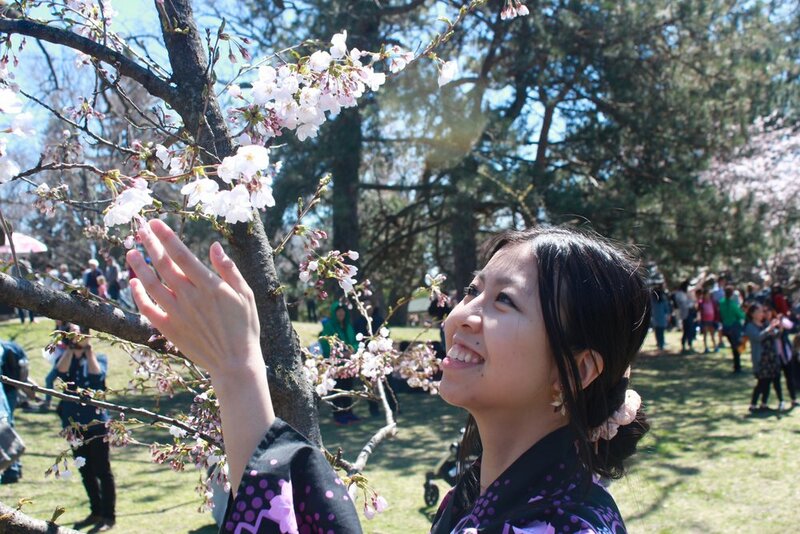 Audrey has a special connection to sakura season and it's awesome to be able to share the enjoyment with her. 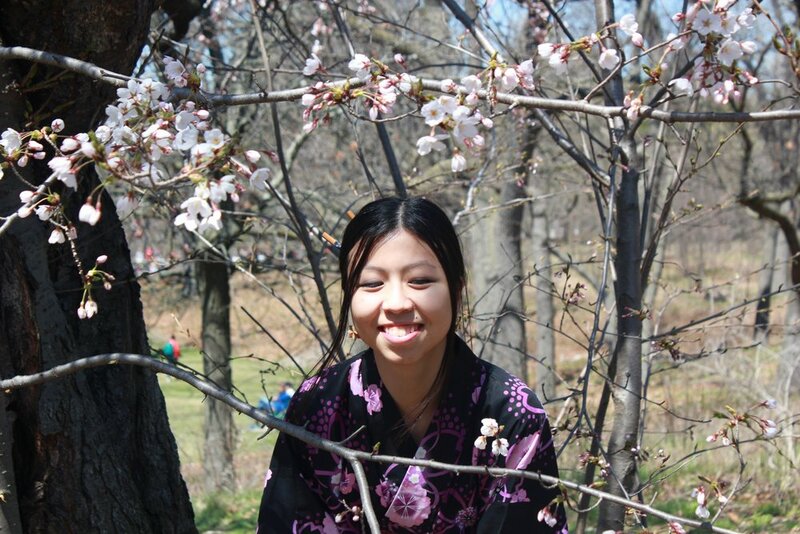 Their blossoms might be fleeting but these photos and our memories will stay with us. Fleeting might come with a sadness of its end but by celebrating its existence, we allow the fleeting sights and experiences to be joyful and whole. 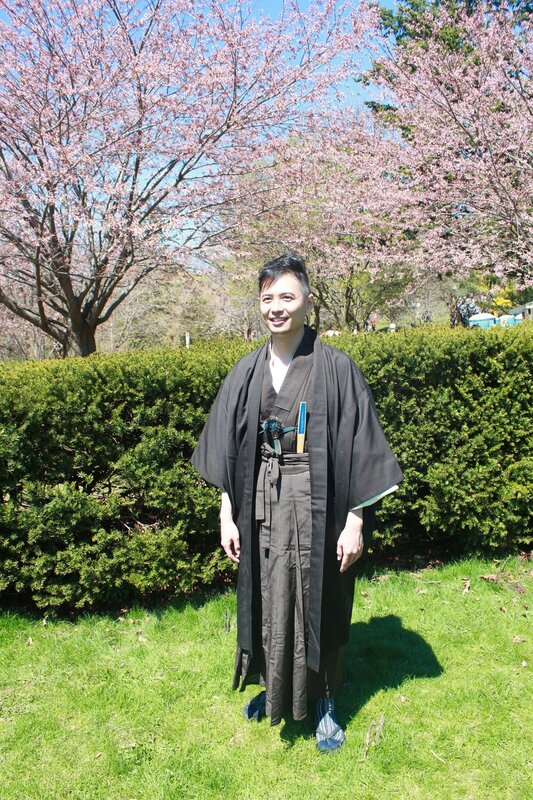 Happy sakura season and hope you also have enjoyed the beautiful blossoming sights.